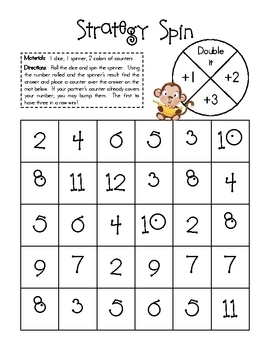 This is a simple game using a six sided dice, 2 colors of counters, and a clear spinner or pencil and paperclip. It's a great way for pairs of students to review four different addition strategies: doubles, +1, +2, and +3. Happy playing!